Everyone who loves burgers knows exactly where they had their best burger ever, and according to our reviews, a lot of people feel it was at The Beach House! 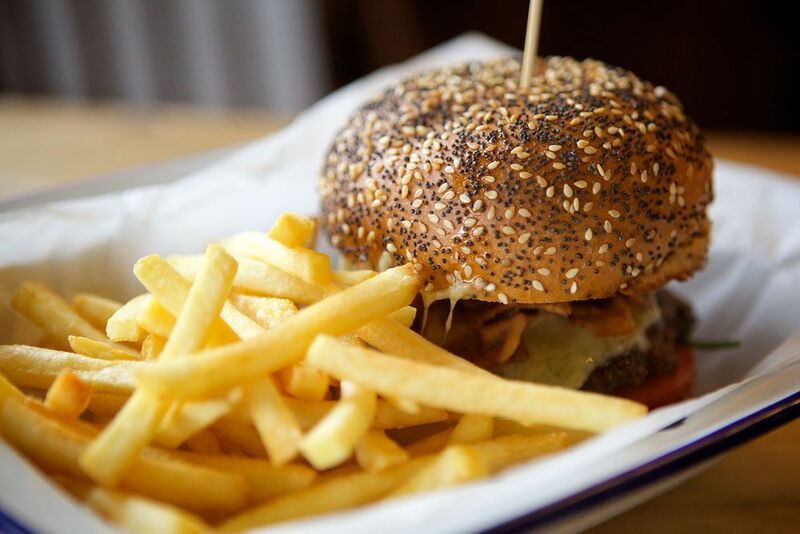 We’ve worked hard to create a whopping seven handmade burger options to tickle the taste buds of Sussex burger lovers, and we think we may just have the best burgers in Worthing. We know that many food lovers are after the traditional beef burger, and we spoil them with a classic burger, a cheese burger, and tasty smoky bacon cheese options. However, there are lots of people who like something a bit different in their bun. For example, our chicken burger is a firm favourite, marinated and served with mozzarella and salad. 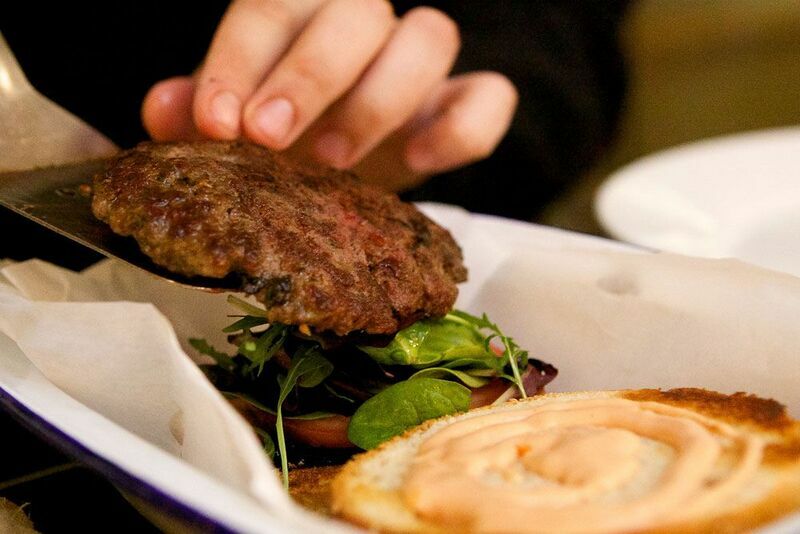 Our spicy lamb burger also goes down well, and the Harissa mayonnaise gives it that something extra special. And how often do you see a fish burger? Our tuna loin burger breaks all the rules, and is ideal if you’re looking for something a little bit different. Of course, it’s important to us that vegetarians experience that famous Beach House burger too, which is where our portobello mushroom and goats cheese burger comes into its own. Our burger buns can be made gluten free too – just ask one of our staff when you order. To celebrate our famous Beach House burgers in Worthing, we dedicate every Wednesday evening to them! For just £10, you can grab one of our burgers and a pint or glass of house wine. Join us on a Wednesday and get a bargain, and potentially the best burger you’ve ever had – right here in Worthing. Check out our full menu here. Draught Cyder at The Beach House Competition to Win Secret Life of Pets Tickets!